Ferrari junior Callum Ilott will get his first on-track Formula 1 experience in May's Barcelona test, where he will join the Alfa Romeo team's driver line-up. Alfa and the Ferrari Driver Academy have announced that the 20-year-old Formula 2 rookie will complete a day in the Alfa Romeo C38 at the Barcelona circuit, following the Spanish Grand Prix. 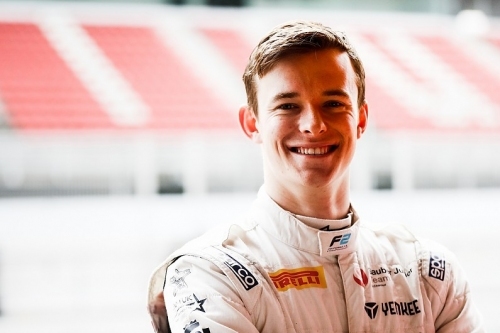 The Barcelona test will mark GP3 race winner Ilott's first opportunity to drive an F1 car on-track. Ilott's Alfa run will follow fellow Ferrari protege Mick Schumacher's outing with the team in next week's Bahrain test.